This is a good breakfast! No eggs, no milk, no fat. 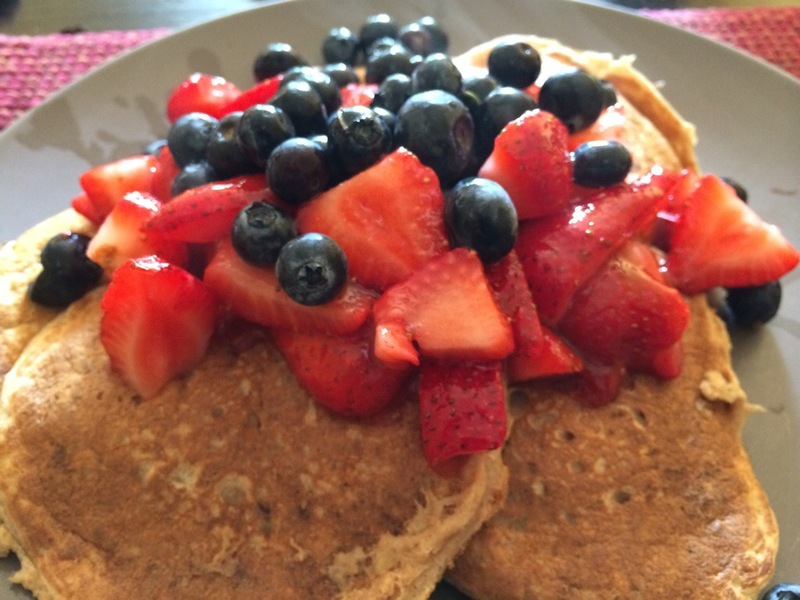 Whole wheat pancakes with fresh strawberries and blueberries! Yum! We also had fresh juice made from Cara-cara oranges, pineapple and orange peppers! Orange juice with a kick!